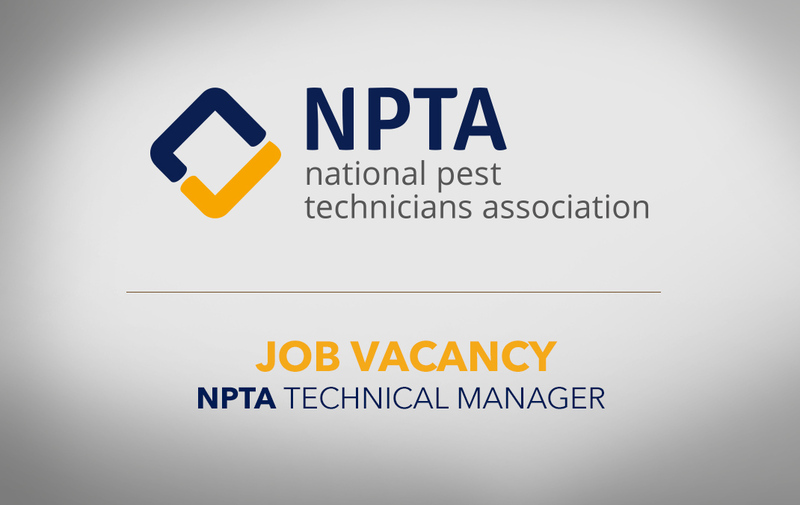 The National Pest Technicians Association is recruiting for an important new, full-time role within the Industry. The successful candidate will have significant ‘hands-on’, practical experience in pest control, as their primary role will be to help, advise and support our Members, throughout the UK and Ireland. We will help you become one of the country’s foremost technical advisors by ensuring you are further trained in all aspects of pest management to a high level, using the extensive experience of our Membership. Working from home, you must be self-motivated and able to effectively manage your own work, to the satisfaction of the NPTA Board. You must also be willing to travel extensively throughout the country to carry out your duties, as required. As you will become ‘the Face of the Association’, you must be able to communicate effectively, both verbally and in writing, with everyone you meet in the Industry. An attractive employment package and full support will be offered to the successful candidate. If you think you have what it takes to fulfil this unique and demanding role send your CV and Letter of Application to the NPTA Office at NPTA House, 12 Farrington Way, Eastwood, Nottingham NG16 3BF or email office@npta.org.uk. Closing date Tuesday 10th April 2018. Error: Error validating access token: Session has expired on Sunday, 17-Feb-19 03:23:39 PST. The current time is Thursday, 18-Apr-19 22:00:26 PDT.